Collection. Well I stuck with what I said and only got 2 items. There were nice products with good colors, but I didn't need everything and knew I probably wouldn't wear most of the colors. These two products are basically sisters because they colors are very similar in pinks and complement each other well. Instant Chic is a sheertone blush, so it does not have much shimmer to it and may be too sheer for some people. It's a subtle pink so its not too baby pinkish nor too red, so its something that I like. Coral Crepe is an awesome color for a paint pot. Finally MAC released a new paint pot color but too bad its limited edition. For anyone who loves to wear pink eye shadows, Coral Crepe will be a a great base for vibrancy and payoff. It is also good just by itself as a cream eyeshadow. The color is very pigmented with some shimmer to it. To me, this color reminds me of Perky paint pot that was from the Fafi collection, but maybe a bit darker than Perky. I may go back and get backups of the paint pot, as those usually sell out fast, but other than that I'm saving up for the next collection!!! What did you get from this Collection? share! 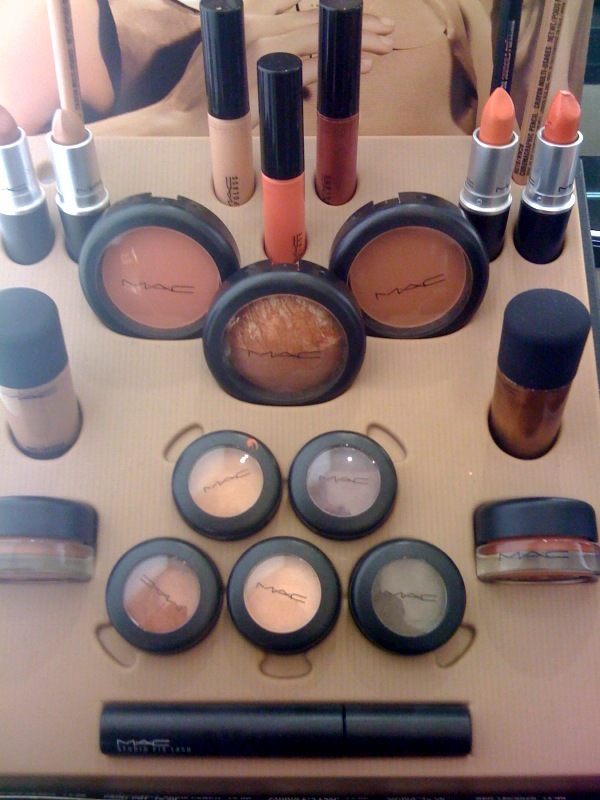 i like this collection.... the blush looks really pigmented and smooth. Pretty! I'm going to check out MAC today :] We'll see if I walk away w/ anything. Nice swatches ! Thanks a lot ! I really want the coral paint pot, waiting for this collection to come out in the UK! i'm loving the colors !! these colors are so pretty!!!! Super pretty! *^_^* I still haven't checked this out yet.